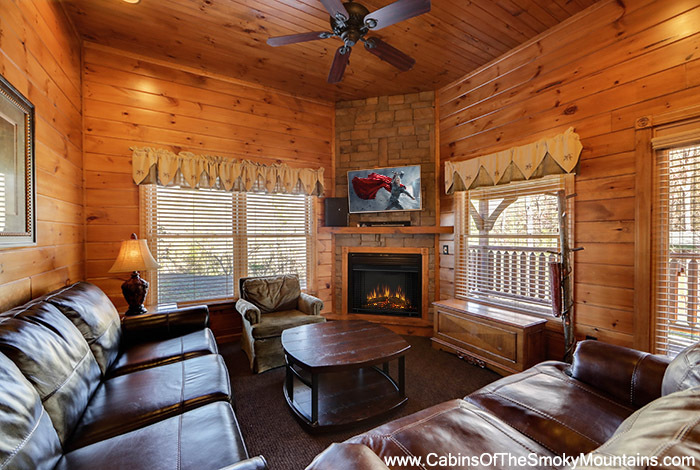 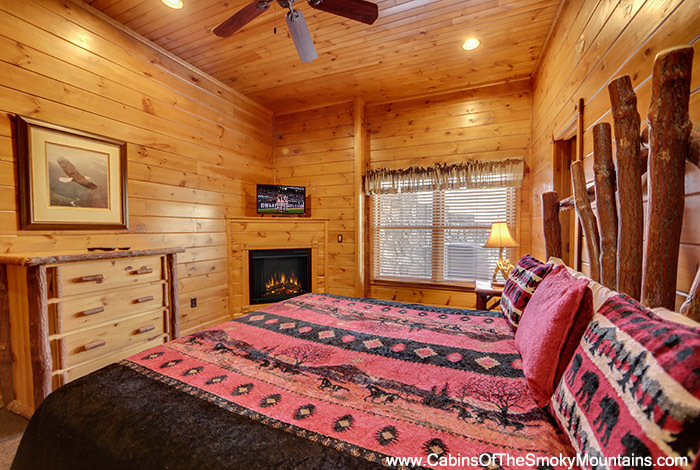 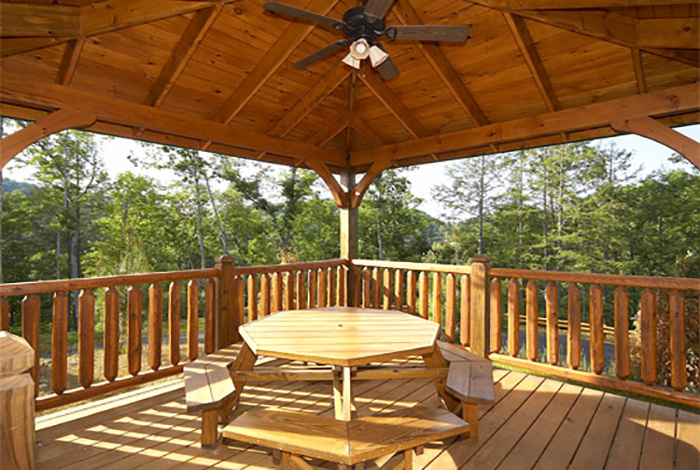 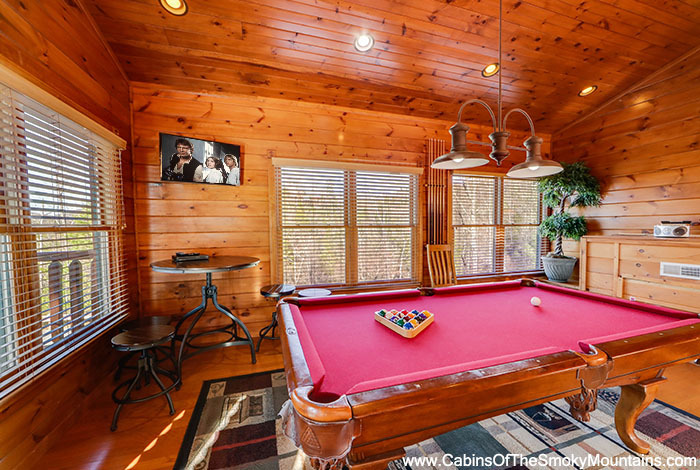 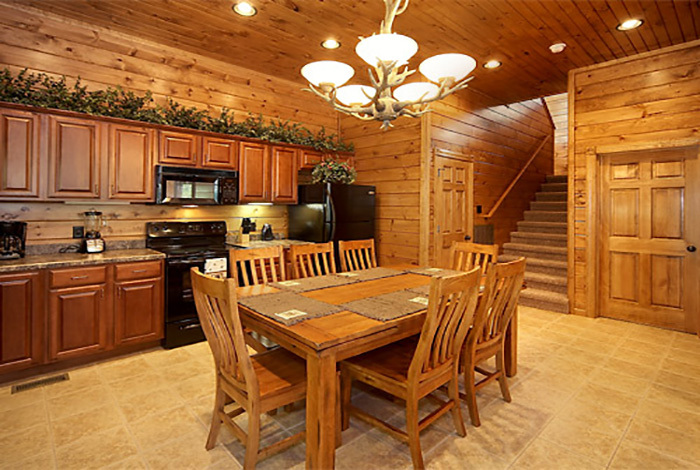 The tranquil beauty of the Great Smoky Mountains is on full display at Serenity Now, a 2 bedroom luxury Gatlinburg cabin rental located in the secluded Gatlinburg Falls at the Park Resort. 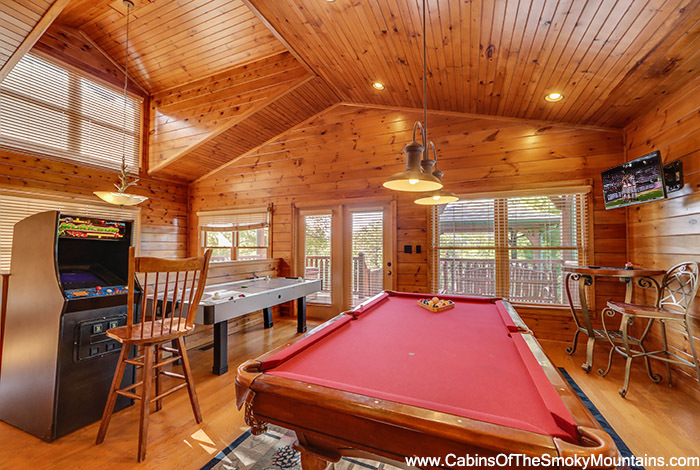 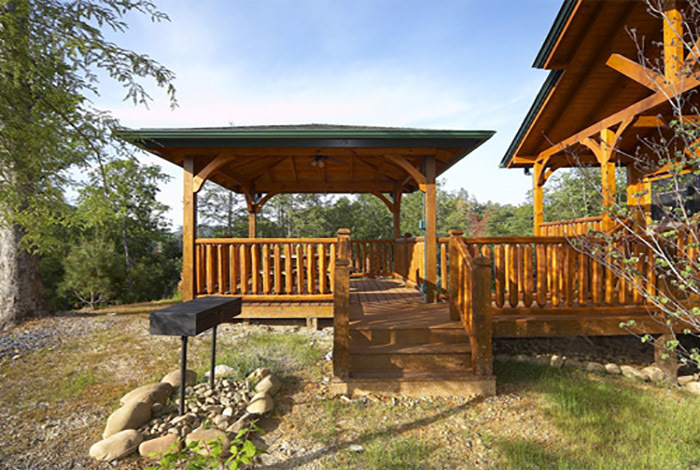 The breathtaking backyard area of this cabin includes a charcoal BBQ grill, outdoor park swing, fire pit, covered picnic pavilion. 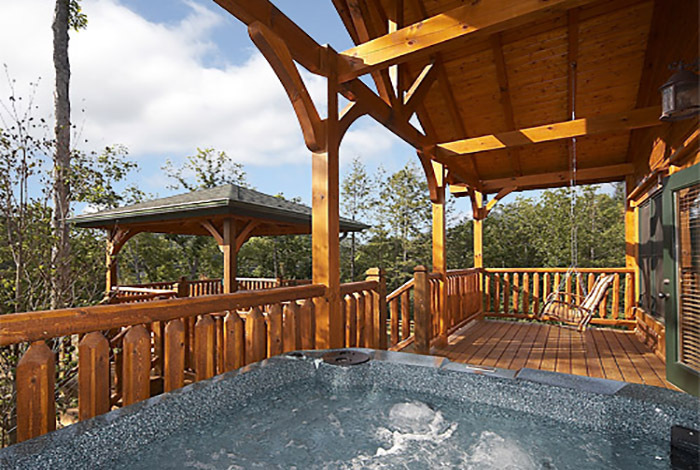 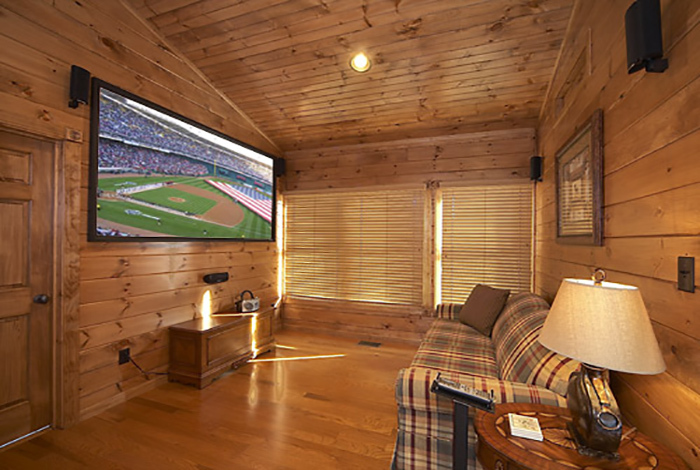 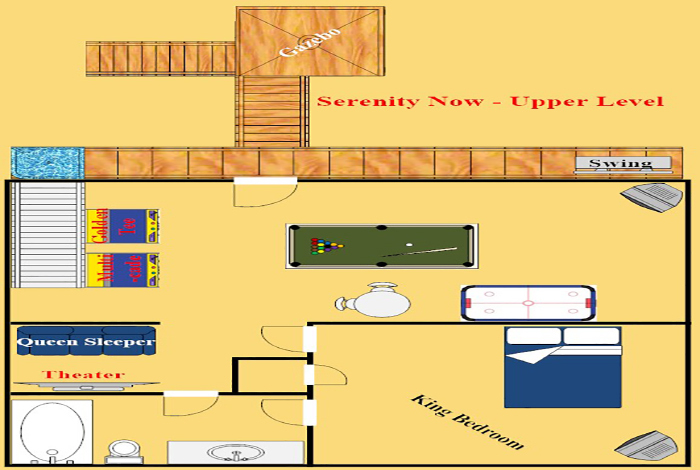 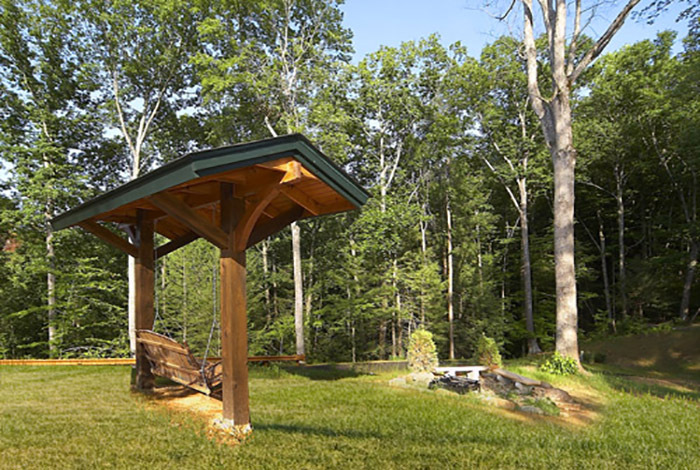 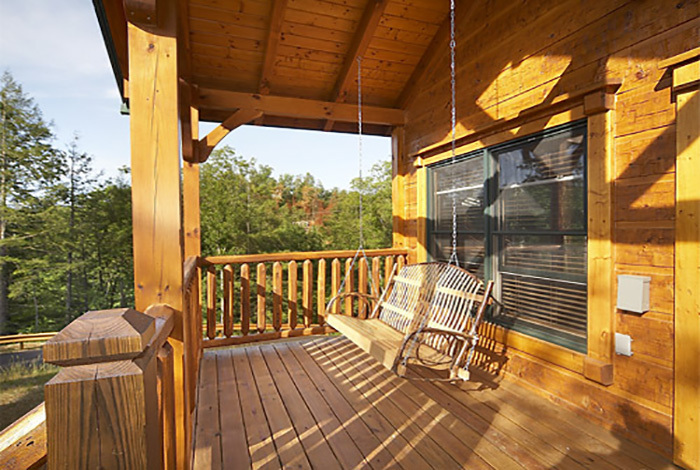 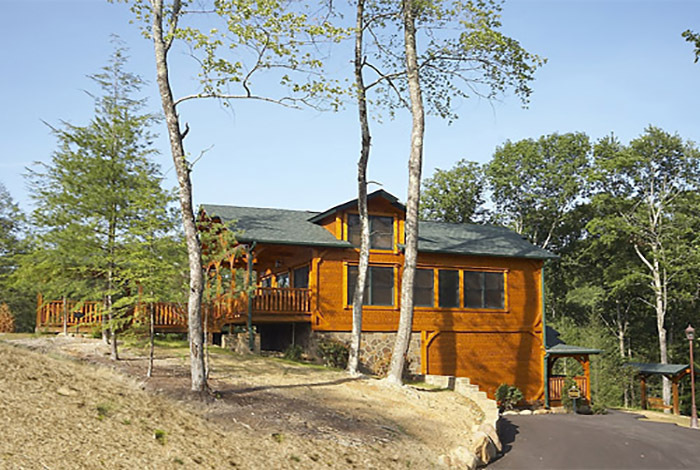 Wooded park-style views can be enjoyed while on the deck relaxing in the Amish rocking chairs and hot tub. 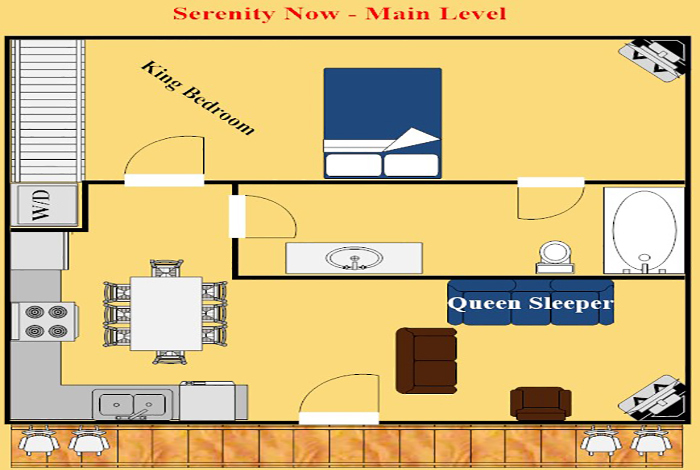 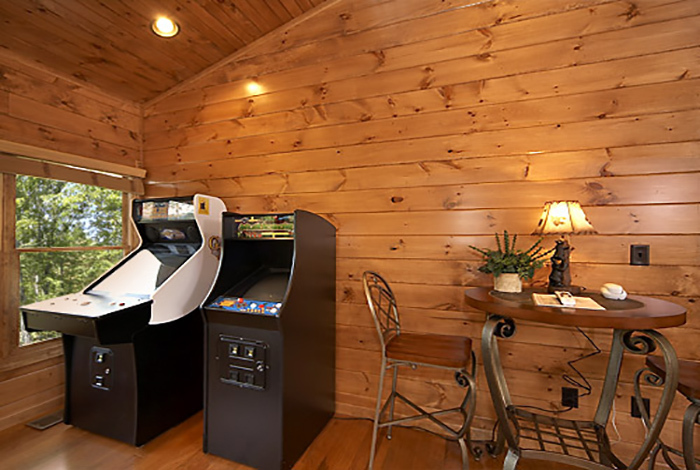 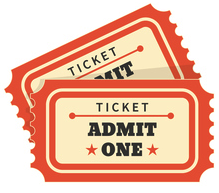 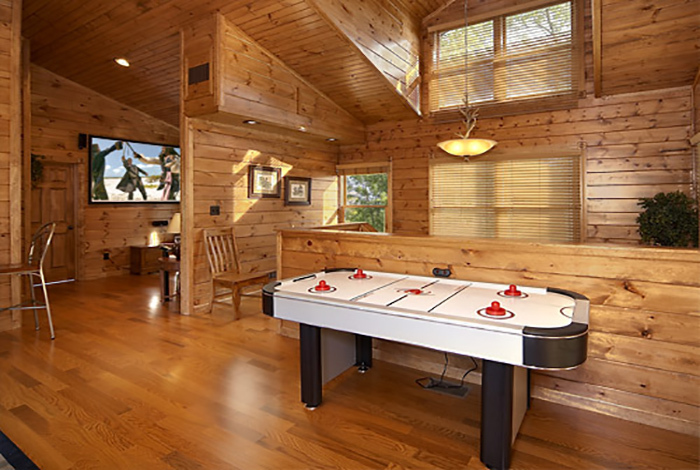 The interior will impress as well with its lodge-style furnishings, 2 fireplaces, 3 TVs with premium cable and a game room stocked with Pool Table, Air Hockey, Golden Tee, and Multicade with over 20 arcade games. 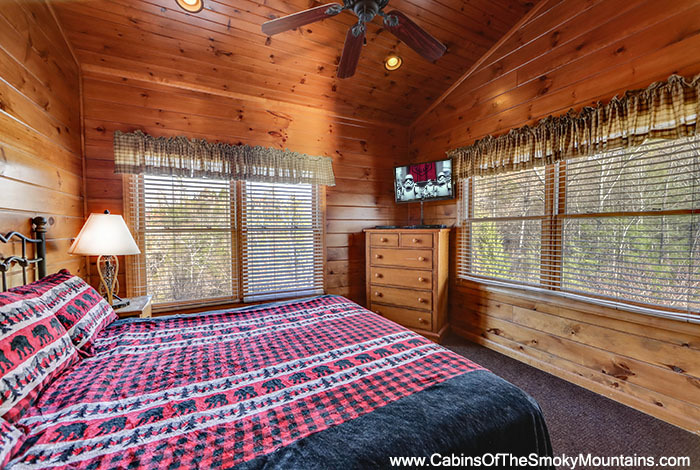 Downtown Gatlinburg and Pigeon Forge sit just minutes away as well, making it easy to experience everything the Smokies have to offer.